An indefinite joint trade union action will be commenced today at all departments of Sri Lanka Customs, to protest against a Cabinet decision to appoint a retired Navy personnel as the new Director General of the department. “The Cabinet had decided to appoint a retired Navy officer as the new Director General of the department. We learn that this appointment has not been approved by President Maithripala Sirisena. This is against the usual norm of appointing a Director General, as they are usually being appointed from either Sri Lanka Customs, considering their seniority and qualifications, or from the Administrative Service,” sources told Daily FT on the condition of anonymity. 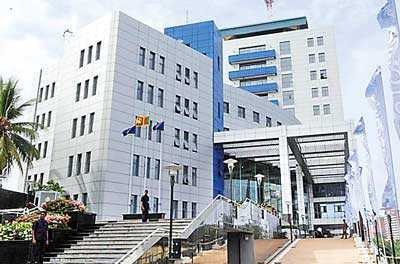 They further claimed that the retired Navy personnel has no knowledge about international trade, cross-border regulations, and the entire operational mechanism of Sri Lanka Customs. “This is not just about collecting the due revenue, but a responsible institution that enables movement of exports and imports to the entire economy,” he added. The trade unions believes that the new appointment was made with an ulterior motive, to discontinue some of the major fraudulent investigations that are being carried out on items that carry high levels of taxes. “There is definitely some unseen political force behind this appointment. We will not stop our trade action until a ‘fit and proper’ Director General is appointed to the position with immediate effect,” he stressed. They also commended work of former Director General of the department P.S.M Charles, who was appointed from the Administrative Service. “We can guarantee that Madam Charles carried out the operations of the department to the best of her ability, and was never a corrupt person. It is a great loss for the department,” he said. On contacting the Finance Ministry, it was confirmed that retired Navy personnel Rear Admiral Dr. Shemal Fernando’s name has been approved by the Cabinet on Tuesday, proposed by subject Minister Mangala Samaraweera. “The sole discretion to appoint Head of the Department is vested with the Cabinet of Ministers and the Public Services Commission. Although customarily the Head of Department has been appointed within the organisation or from the Administration Service, this does not mean that an outsider cannot be appointed to the same,” a senior official from the Finance Ministry said. He also pointed out that it was not necessary to appoint a senior personnel as the Head of the Department, noting that even a junior staffer has been given permission under the Constitution to be appointed so. It was confirmed that the letter of appointment has not been handed over to Dr. Fernando yet, and it has only been approved by the Cabinet.